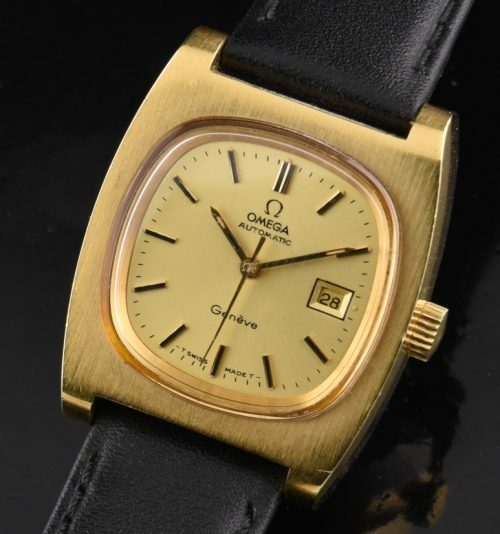 This 1973 OMEGA ladies watch is automatic winding (just cleaned) and accurately keeping time. The gold plated case with steel back looks excellent. The original crystal is signed OMEGA and the winding crown is also original. 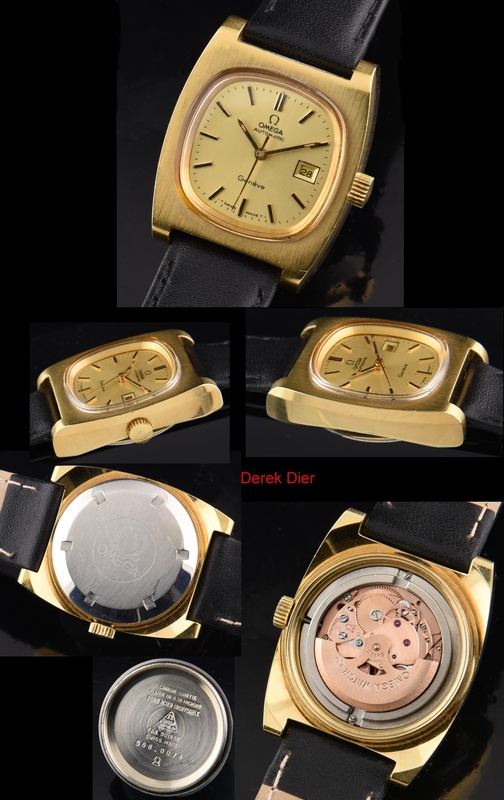 The gold dial looks pristine. The case measures 27x33mm. and is NOT a small watch; but is rather easy to read and wears quite well. This OMEGA really stands out and will be noticed by many.